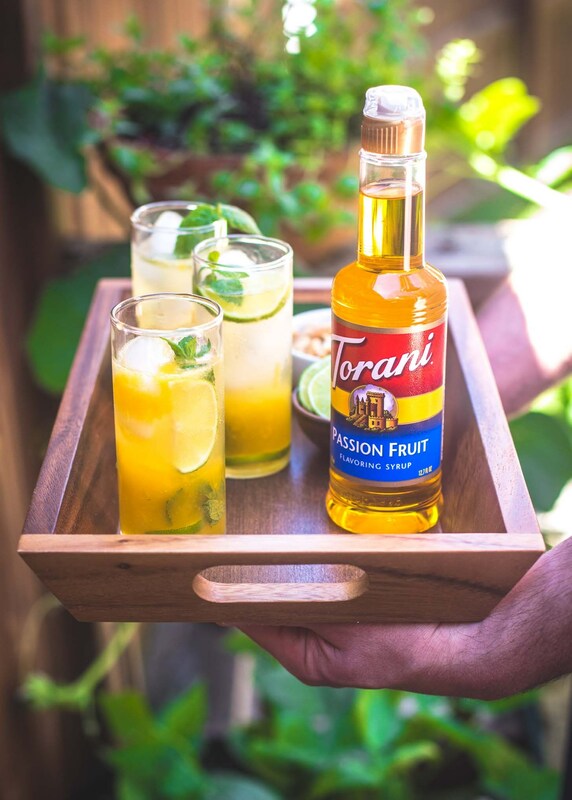 The passionfruit mojito: a tropical and fun cocktail perfect for BBQs and summer parties (and even winter ones). 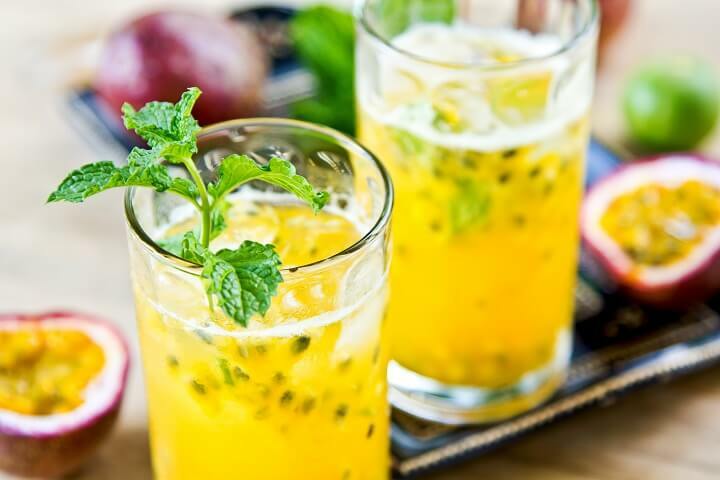 The passionfruit mojito is for those who love the light and refreshing tang of a traditional mojito but also want to experiment with fruity flavours. Traditionally, mojitos are made with a white rum, and for a classic mojito this should definitely remain so. However, we have found that using a spiced rum really adds that extra something to the overall flavour, particularly paired with the passionfruit. It is of course your own personal preference, so maybe try this cocktail both ways and see what you prefer. 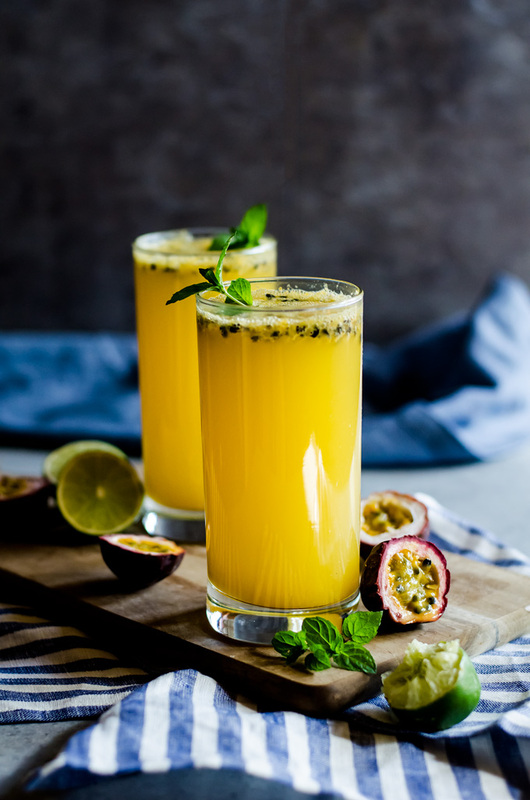 For those who you who are keen mixologists, we would advise using the pulp and juice of a real passionfruit to add that real passionfruit flavour. However, some of you who are looking for something a little simpler and less time consuming. This is where the passionfruit syrup comes in, widely available at many larger supermarkets, and the answer to the perfect cocktail in less than half the time. 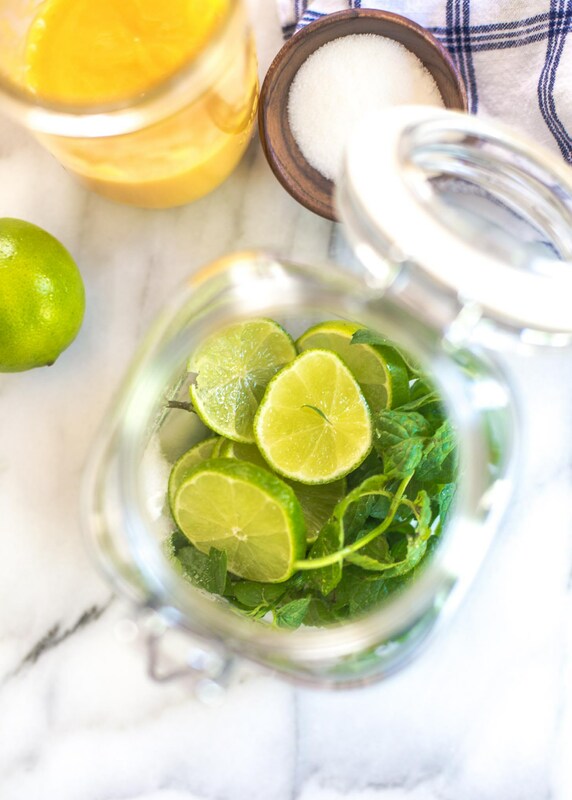 First muddle together the fresh limes (3/4 segments) and mint in a drinking utensil of your choice, add 20ml of passionfruit syrup. Add the ice and soda water (or lemonade) and stir. 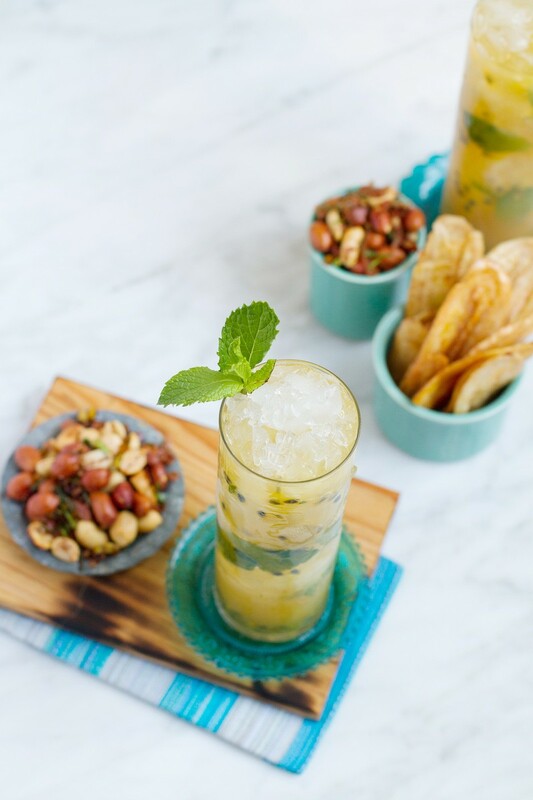 Top with mint and/or passion fruit seeds for garnish. This is just one of our many cocktails which we offer at Pop Up Bar Hire, for our full menu and more information regarding parties, events and weddings, email us at hello@popupbarhire.co.uk or call us on 02920 101 562 .